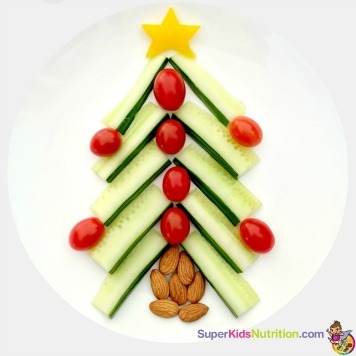 Super Kids Nutrition is always on the search for new ways to get kids excited about food and healthy living! We talked with Stacey Antine, MS, RD, Founder and CEO of HealthBarn USA where it’s rumored that kids have so much fun they don’t even realize they’re learning. Hear from Stacey how to connect kids to the natural environment, educate them about earth friendly practices, and learn to empower your kids to live strong, energetic lives. Sometimes eating healthier requires having the courage to try and serve new foods. What are some fun ways families can try new foods together? 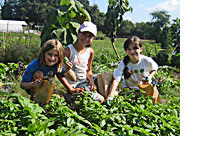 Every week at HealthBarn® USA, we feature a new fruit or vegetable that the kids try as well as interact with it in the garden by planting or picking. They also have the opportunity to help prepare a naturally, nutritious recipe using the new food. We also have an important rule at HealthBarn USA – no YUKs allowed! If the kids like the fruit or vegetable and recipe they give a thumb up, if they are not sure, they give a thumb to the side and if they don’t like it, a thumb down. No one gets in trouble or has to eat something that they don’t like. This is really important in building trust with children and it works every time, even with the pickiest eaters! We also ALWAYS serve vegetables RAW for the child’s first interaction, so they experience the taste and texture of the vegetable in its natural state. This is really important for veggies (fruits are much easier). Many parents serve vegetables overcooked and put sauces and other condiments on them that alter the taste, so go raw for veggies first! 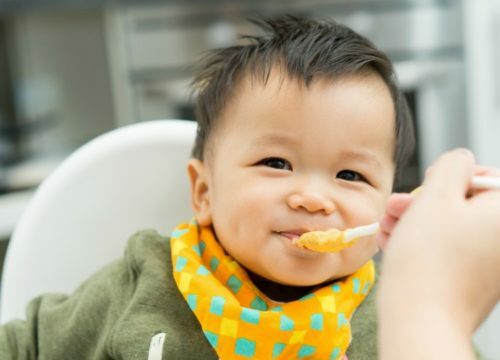 Everyone has to try new foods including parents – it’s a great topic at the dinner table! And, remember it doesn’t have to be only vegetables, try different types of cheeses, milks, grains, etc. Quinoa (I eat it all the time – it’s my new pasta), flaxseed meal (sprinkle it on everything! ), and organic low-fat yogurt. 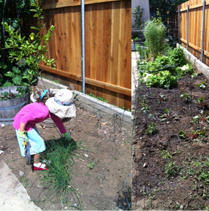 How can parents use the grocery store and family garden as an opportunity to teach their children about healthy eating? 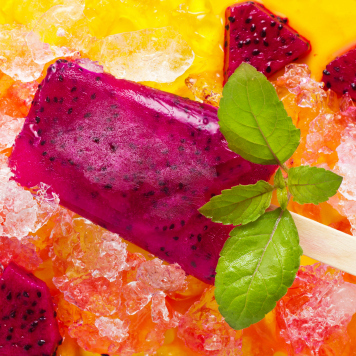 At HealthBarn USA the most important concept is natural ingredients verse artificial ingredients! We draw a picture of a tree and vines and ask the kids what they produce that we eat (apples, peaches, plums, grapes, strawberries, etc); then we draw a cow and ask what it produces – milk, beef, etc. 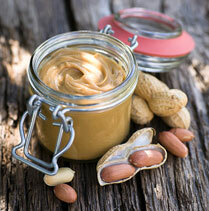 Next, we make it clear that when things come from nature they are called natural ingredients. Then, we draw a picture of a factory and ask what types of ingredients are produced there (opposite of natural) and the answer is artificial ingredients. Finally, we ask which ingredients have the most vitamins and minerals for our bodies to be healthy and strong – natural! It’s really simple, but so important. We teach the kids to only read the ingredients on food packaging because that’s the only place on the label that tells the truth. Strawberries don’t have ingredient lists because they come from nature, but strawberry fruit roll-ups have a ton of ingredients including food coloring and words they can’t read. This is really shocking for most kids and so important when grocery shopping and getting everyone on the same page. If you stick with nature you will always be in good health, so have fun planting all kinds of fruits and vegetables in the family garden. And, it’s great exercise to care for the garden, too! What are some popular meals that kids love to make at HealthBarn USA? Kids love to cook, and eat natural foods! The HealthBarn USA Recipe Book has over 101 family-friendly recipes. The recipes that are really popular are the most interactive ones, and they taste great, too! The big winners are YUM! YUM! Dumplings, Veggie Sushi, EZ Make Cookies, Spinach Artichoke Dip, The Rainbow Swirley Smoothie and Sweet Potato Pancakes. If you’re interested in purchasing the recipe book, you can purchase it from Amazon by clicking here. These sweet potato pancakes are delicious and nutritious! There is so much beta carotene in this breakfast item that your eye sight is sure to be laser sharp throughout the day. It’s the perfect “game day” jump start to any day, but especially for an athlete because it’s a perfect balance of protein, healthy fat, and whole grains. Go team! Poke holes in a medium sweet potato using a fork and place the sweet potato in the microwave for 3-5 minutes until soft (you can bake or boil, too!). Poke holes in a medium sweet potato using a fork and place the sweet potato in the microwave for 3-5 minutes until soft (you can bake or boil, too!). In a large mixing bowl, combine flour, walnuts, cornmeal, baking powder, sea salt, and cinnamon. Add milk, sweet potato, brown sugar, walnut oil, vanilla extract, and egg yolks, stirring until smooth. In a separate small bowl, whisk egg whites until fluffy. Fold egg whites into batter. Spray griddle with cooking spray and spoon ¼ cup of pancake batter onto griddle. Cook until bubbles form, flip pancake and cook on other side for a few more minutes. Repeat until all the batter is used. Eat with 100% maple syrup or agave nectar! Makes approximately 6 servings (2 pancakes per serving). Nutrition Facts per serving: 190 calories; 6g fat (1g sat fat, 1g mono, 3g poly, 0g trans fat); 55mg cholesterol; 29g carbohydrate (4g fiber, 9g sugar); 6g protein; 310mg sodium; 130% Daily Value (DV) vitamin A; 10% DV vitamin C; 10% DV calcium; 10% DV iron. How do you teach families to eat well and help the environment? Compost is key! In order to have healthy fruits and vegetables you need healthy soil. That means that all the fruit, vegetable, and egg shell scraps from our recipes go down to the compost pile and the kids use their energy to turn it to make all-natural food for the garden. This is a HUGE concept that encourages kids to eat healthy and be kind to the planet. Hotdogs, Cheetos, chicken fingers and Lunchables do not make for good healthy compost. Educating on earth friendly practices like composting and recycling really gets kids talking about the big picture. They begin to realize that the choices they make are bigger than themselves. They can make healthy choices and take part in helping the environment. Getting families to move more daily can be tough with busy schedules. What are three practical tips to help families get moving and increase physical activity into their daily lives? Explore and Play in Open Space! Explore and Play in Open Space! New hobbies…. Try new activities such as kayaking, fishing, horseback riding, gardening, yoga, etc….it doesn’t have to be a sport or in a gym. Parents set the pace regarding activity – it’s not about dropping the kids off at the next game or practice. Active parents raise active kids because they are all active together – on the weekends, vacations or after a meal for a walk (and the dog, too) – it’s not a chore; it’s a fun way to spend time together. Where is HealthBarn USA and can you provide us with a few details about your summer camp or other school programs? 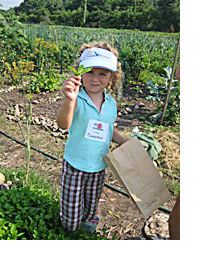 We offer healthy-lifestyle educational programs year-round for children, ages 3-15 on a farm. 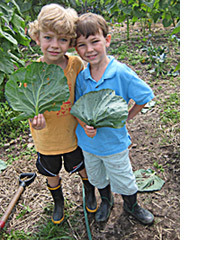 And, we have an exciting “farm-to-fork” summer camp experience for children, ages 5-12. We are located at Abma’s Farm in Wyckoff, NJ and we just opened a new location at Speyer Farm in North Salem, NY for summer 2010. Check out our locations at www.healthbarnusa.com. If you do not live near Bergen or Westchester counties to visit us at the barn, we offer the ultimate “Try It, You’ll Like” healthy lifestyle school assembly for kids. We have taken our assembly on the roadto Lake Tahoe, Philadelphia, and Massachusetts, so check out this highlights video to see the kids and our team in action. Michele is a Registered Dietitian currently working as a clinical dietitian in the greater Los Angeles area. She has experience in pediatric nutrition, as a nutrition educator, and teaching cooking classes. She loves wholesome foods and her husband, Aaron.